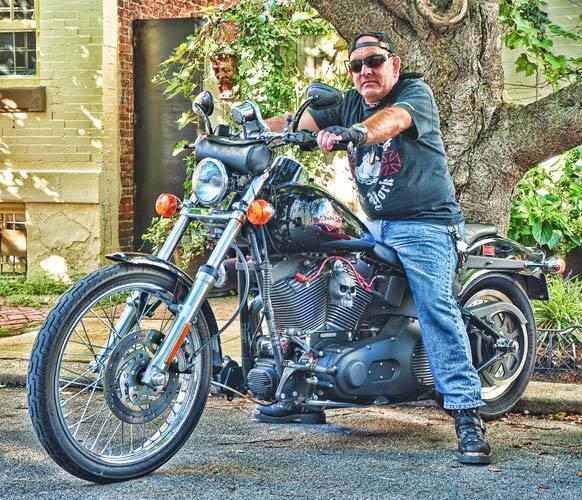 I had a very special visitor this last Saturday: Al “Alley Cat” Chernoff from Rescue Ink stopped by on his Harley. 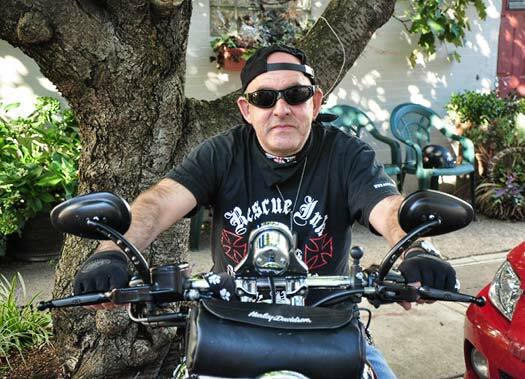 Rescue Ink is “an army of tattooed, motorcycle-riding street guys who have zero tolerance for animal abuse and neglect.” Perhaps you saw them recently on Dr. Phil? Click thumbnails to view larger images. 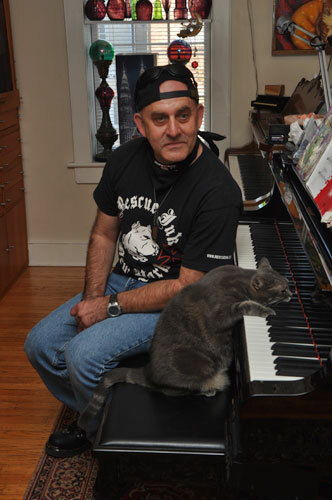 They’re based in New York City, but Al, also known as “the cat guy” (he shares his home and heart with 7 rescued cats) lives right here in my hometown of Philadelphia. We had a great visit. I can’t say enough about these guys and their heroic efforts on the behalf of neglected and abused animals. Check out Rescue Ink’s website at http://rescueink.org and tell them Nora sent you. Nora, I love the shot of you & Al on the piano bench together! How about some new video? I would love to hear some new music from my the one and only Nora!